You've made it to the first date! Here are some great first date ideas for when you arrange to meet another dating for disabled member offline. But before you pick and activity, remember, dating for disabled is an online disability matchmaking service; meaning that you should take into account the possible special needs of your date. Is the coffee shop/bar wheelchair accessible? Does your date have any particular dietary needs that need to be taken into consideration? If you're thinking of going for a walk or doing something physical- can they participate and have fun? When you're dating someone with a disability these are questions you should ask beforehand! 1. Classic coffee shop date- simple and a great way to have a quiet chat and get to know someone. It's also cheap, and you can keep it short and sweet. 2. Cheap Dinner- dating can get very expensive if you are doing a lot of it. So pick something inexpensive like a tasty new food truck, or maybe pack a picnic in a nice location. You can leave five star dining for later on in the relationship. 3. Go Bowling, or choose another fun activity. This way you can go and have fun, it's a great bonding experience. 4. Get Fruit-shakes or Ice cream- If it's hot out, why not get something to cool off with while taking a walk around town. This is a great activity for a weekend afternoon date. Don't forget, a first date isn't about spending exuberant amounts of money, or trying to think of something really creative and insane to impress someone. It's about sitting down, having fun, and getting to know this other person. Try and avoid: concerts, loud bars and movies. You want to be able to get to know someone a little better, something that can't happen if you can't talk or hear each-other over the noise. Pick someplace quiet but always in public, never go anywhere remote or invite a stranger over to your home. But most importantly, pick a setting where you can relax and enjoy yourself and your their company. 1. The first thing you want to do is check out their relationship status (why waist time on someone that is already taken?). 2. Then, scroll down to the "looking for" section of their dating-profile. If they are only looking for friendship, whilst you want a relationship they aren't for you. Also, if they state clearly that they are only interested in casual encounters, or someone to chat to, just move on. Even if they look perfect, they just aren't on dating for disabled looking to find love, and you are! 3. Read through their info carefully! Never message someone who you haven't read through all of their profile properly. 4. Look for deal-breakers. If they have kids and you don't can't handle children, maybe they aren't the match for you. But if they are looking for someone to start a family with, and you're also looking for that then great! 5. Do they live in another country, or at the other end of yours? Is that too far away for you? Then maybe don't start up something that could potentially lead to a long-distance relationship, if that's not what you're looking for, or open to. 6. Does this look like someone you would like to sit down for coffee with? Do you two have any common interests or goals? These are important questions to ask yourself. 7. What personality traits did they check off on their dating for disabled member profile? 8. Is their language positive and upbeat, do they seem like a nice person from the way they described themselves? Are they a collage grad, what kind of job do they have? If they have listed all of these things, think if they are important criteria you want in a potential match. Never message anyone who hasn't taken the time to fill in their profile properly. Yes, even if they look really good in the one picture they uploaded. You only have some very general information to go on; but none the less, this information is a great starting point to see if you like this person enough to send them a message and get to know them a little bit better. Step one: You opened up a Dating 4 Disabled profile, and posted a great photo of yourself. 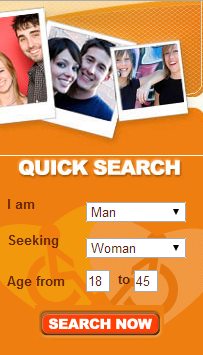 Now it's time for step two: searching for other disabled singles on the site. Now the site will show you a list of matches who fit the criteria you chose. Now all you have to do, is take a look at the profiles and see which ones you like. If you can't be bothered to search actively for new members, you can always sit back and let Dating 4 Disabled's matchmaking algorithm do the work for you. 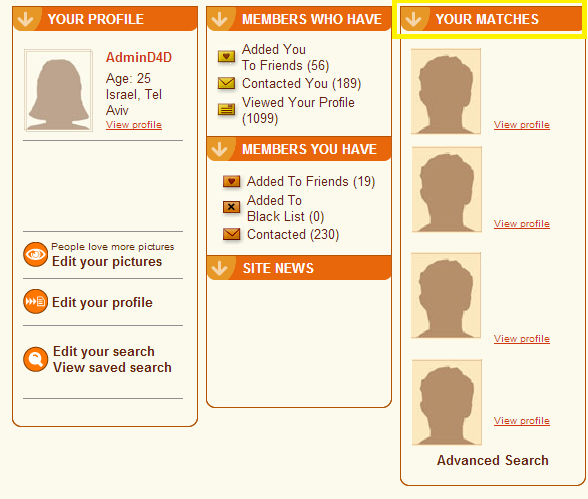 Now, whenever you visit the homepage, the site will suggest suitable matches. But in order for this to work properly, please make sure you set your advanced searching preferences as seen above. Dating for Disabled does its best to insure people who should not be using the site, are removed and banned. But that said, you should also know how to look out for your own safety when using any kind of online matchmaking service. So here are some basic safety tips for both on, and offline dating. 1. Always be in control, and always feel comfortable with the situation. You decide what to share and with who. You shouldn't feel obligated to share any personal, or contact information with someone until you feel it's time. Same goes for your real name and photograph. 2. Never give anyone your home address or bank account information. EVER. 3. 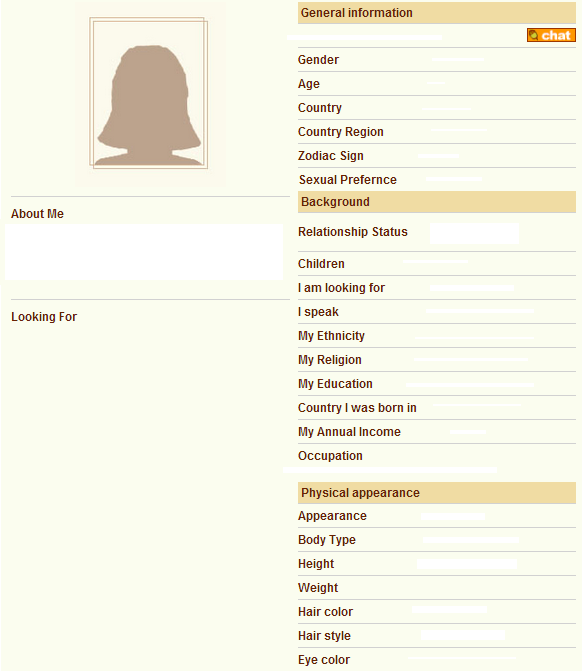 Set up a new email account (separate from your personal/work) just for online dating. 4. Ask tons of questions, watch out for any inconsistencies in the answers. 5. Stay AWAY from anyone who won’t take NO for an answer, if anyone pushes your boundaries in a way that makes you feel uncomfortable or unsafe, stop talking to them and blacklist their profile. 7. If the info in a profile isn't consistent, if they filled out that they have a masters degree from Yale, but have awful grammar and spelling. If they say that they are bald, but have red hair, if their user photo looks like it was stolen from a fashion magazine, or if anything at all doesn't feel right- REPORT them. We do our best to block fake profiles, but unfortunately some manage to slip through the cracks! Always be on the look out, and if a message, or profile seem odd, we are always happy to look into your report, and if needed, remove the fake profile from the site. 8. If someone gives you a phone-number with an area code you do not recognize, look it up before calling it, because it might be a toll-number. We are here to insure your safety, please report any suspicious activity on Dating for Disabled so we can look into it. 1. Don’t allow anyone to pressure you into a meet-up before you are ready! 2. 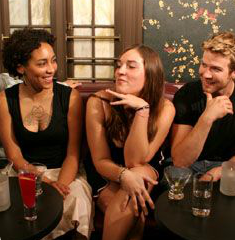 Arrange to meet in public for your first date: a coffee shop, restaurant, or bar are great meeting places. NEVER give them your home address, or invite them over. This person is still a stranger, and your safety comes first. 3. Make your own way to, and from the date. 4. Arrange with a friend/family member to check-in every hour by text or phone, and always tell them where you will be and who you are meeting. You can agree on a "safe word" ahead of time (just in case). 5. Trust your instincts, if something doesn't feel right, leave! Dating4Disabled does its best to keep you safe, but you still have to keep your eyes open! Any member that for some reason doesn't seem real to you, report them. It's our job to look into them for you. So you finally worked up the nerve to join an online dating site, great! Now comes the hard part, now you need to fill out your profile. First of all, you should know that if your profile is almost empty you are probably not going to get as many messages, or have people respond to the ones you send. That is why a filled out profile is so important if you are looking to find love online. A good profile should be: filled out, personal, creative, and have a genuine feel to it. 1. Post a great photo of yourself. Photos are important because they make a profile feel more personal and grab people's attention. A profile with a photo is more likely to get messages than one without. 2. Think about your strong attributes and talk a little about them. Do you have any really cool hobbies or interests? Do you like to read, in which case what do you like to read? The reason you want to specify these things is that beyond the fact they give a little more info about you, they are also great conversation starters for people who want to message you on the site. There is no such thing as: "I don't have hobbies". You can list your favorite TV shows or movies: "I'm 33 and I am addicted to good coffee and the new season of Game of Thrones". There is always something personal and great you can say about yourself on a dating web site. Be creative! 3. Stay away from cliches (like "I love to laugh and have fun". I mean who doesn't?!). Keep it personal, not generic. There are hundreds of profiles on any given matchmaking site, including on Dating for Disabled, why does yours stand out? 4. Don't lie! Don't lie about your age, weight, height or disability. At the end of the day, your goal is to meet someone is person, and they will notice you weren't genuine about your appearance. 5. When you are filling out what you are looking for it is important to be: honest, positive, and not too picky. If you are looking for something serious write that down. If you are looking for something long term and serious there is no reason you shouldn't tell people that. On the one hand you want to attract the right kind of people for you, but you don't want to scare people away with a long list of things you are looking for in a perspective date. Try and maintain a balance between honesty and practicality. 6. Be positive! If you write what you are looking for, as apposed to what you are NOT looking for you are more likely to get messages from other singles on dating sites. 7. Seeing as you are probably on the site to meet other disabled singles, there is no reason to be embarrassed, make sure to list your disability and mobility info on your profile. 8. If you spend some time thinking about what you are going to write (as you should), back it up on your computer, just in case the internet browser errors out and you lose everything. 9. Don't post anything on dating4disabled you don't feel ready and comfortable posting. 10. Don't post any contact or personal information. For your own online safety you shouldn't post your home address or telephone number. Online dating profiles are a great way to showcase who you are and what you're looking for. Keep in mind that if you are online to meet other singles, and you are looking for a relationship, this is the first impression they are going to get of you. Just like you iron your shirt before a job interview, it is important you iron out all of the creases in your profile as well. Check the grammar and spelling, and make sure you only post things you think will make a good and positive first impression. If you have anymore helpful tips, please list them in the comments section so other members can read them! You've filled out your profile, you've settled into the site, and you're already chatting to other members. That's Brilliant! The next thing you need to do is upload a great profile picture for your dating profile. Don't do this before you feel comfortable, but once you do, you should know there are a lot of benefits for having a picture. Pictures are important because they attract people's attention, and they also turn you into a "real life person". People will feel more comfortable sending you a message, because it makes your profile more personal, and they can now get a better fee about who your are. That said, you shouldn't just post any picture, you should take a few minutes and give it a little bit of thought. 1. Choose a photo in which you are alone. If your'e standing next to friends/family people might not understand which one is you and move on. A dating website isn't facebook or google plus, here it's all about you. Show off your great smile, not your friends. 2. Make sure that at least one of your photos is a head-shot, so people know what you look like, and the rest are full body shots. Full-body shots have been found to be more successful, but that said, you should still only post the pictures you are comfortable with! 3. Make sure the photo actually looks like you! When you show up for a date, the person you met online is expecting the person in the photo to show up! So make sure it isn't only a photo of you, but that it actually looks like you! I know it's tempting to post that one amazing photo from your brother's wedding, or a photo from ten years ago! But don't do it, just like you expect other members to show up looking like the person you've been chatting to for months, you should do the same. That doesn't mean you shouldn't pick a photo in which you look awesome, just make sure that it really looks like you. If you're not sure, just ask a friend for their opinion. 4. If you're in a wheelchair/mobility device, walk with crutches, or have some sort of prosthetic, don't be embarrassed to post that photo! Dating for Disabled is here so you don't feel embarrassed to post a photo in your wheelchair, or of your arm/leg. At the end of the day, it's a website for disabled dating! 5. Make sure you are smiling! Profiles with positive photos and language are just more likely to get messages. 6. Don't post too many photos, go for 3-4 is plenty. 7. Don't forget that once you've posted a photo everyone on the site can see it, make sure the photo doesn't have any personal info. For example: did you take it in front of your collage campus, or office sign, does your house have the street name and number on it. Make sure you take these things into consideration when posting a photo that has things in the background. 8. If you have a hobby or a cute pet, have one of your photos either be with your pet (not just a photo of your puppy on its own, make sure you are in the photo as well), or doing something you love. Photos like this will show off your fun side, and are a great conversation starter. 9. Men, no half naked photos! If you are looking for love you are sending the wrong message. Ladies, same goes for you, try and avoid swimsuit pics, because you are just way more likely to get messages about the way you look. The next part of the post is more technical. 1. Go to Dating 4 Disabled. 2. Click on "View Profile" (Meaning, go into your own profile). 3. Scroll down to the bottom of the pop-up window and click on "Edit Your Pictures". 4. Select up to 4 photos to upload. 5. Wait for your photo to be approved by the D4D Admin. The reason many people are choosing to use online dating services is that quite often they just don't have time to meet people. In between work, and finding time to see friends and family, going out to mingle with other singles is just too much of a hassle. This is what online dating services are for. It allows you to spend a few minutes every day, during downtime at work, or in the evening over a glass of wine, browsing people's dating profiles. It can be as anonymous as you like, and reduces the fear of rejection, and the anxiety that comes with having to turn someone down because you aren't interested. One of the services available on Dating for Disabled is smart phone applications. Why use the app? Well, first of all it's completely free to download, and it will allow you to use the site from your smartphone. If you are a D4D member, it will just make smartphone and tablet use much easier for you. Just click on the link, and follow the download instructions. The apps are easy to use but just in case you do have trouble using them, you can always email me at: office@dating4disabled.com, or use the contact sheet on the site. You can continue using the phone's browser if you like, but the applications are just a much easier way to access your profile, & message inbox from your cell. There are a ton of dating sites out there, that serve a verity of different communities. I'm talking about a concept called niche dating websites. They aren't the regular, big websites, but rather little ones with a specific user demographic. So, why use a smaller website? (Instead of one of the big ones). The reason for this, is you just might not find what you are looking for on one of the big popular sites because you have very specific needs. 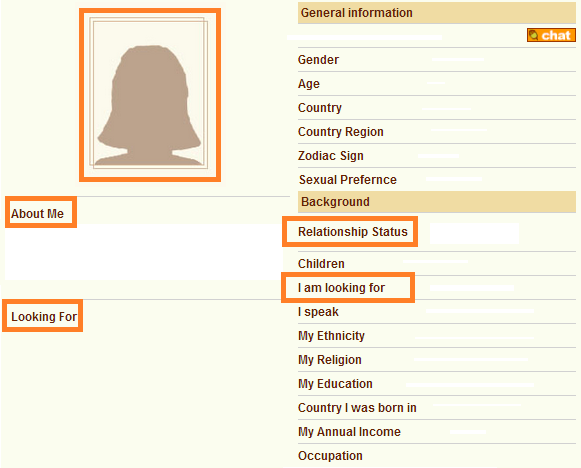 If you are looking for someone who is gay, of you're specific ethnicity or religion, or in this case disabled. This is why people choose a disabled dating service over a regular one, because it is more specific to their unique need, they are also looking for someone else with a disability or, medical condition. People who use wheelchairs, amputees, visually or hearing impaired, sometimes prefer to meet someone who also has a life challenge. It doesn't necessarily have to be the same as their own (but sometimes it is. It just makes people feel more comfortable using a dating service, and the internet, to find a partner.